The following article was originally published at the Yahoo! Contributors Network on September 15, 2010. Cosplayers walking through downtown Atlanta during DragonCon 2010. 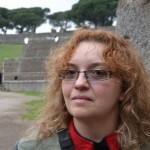 Photographs on this page are by the author, sockii. 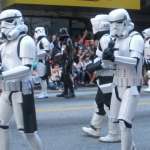 Following the 2010 Dragon*Con in Atlanta, Georgia, disturbing reports of sexual harassment and other assaults suffered by convention attendees have begun surfacing on the internet. While such issues have unfortunately occurred in the past at conventions and are not isolated to Dragon*Con, this year they seem to have reached critical numbers and have led many to question their safety and security in continuing to attend the event. The prime suspects in most of these incidents appear to be college football fans who were also staying at some of the Dragon*Con host hotels, or in the area for the weekend’s Louisiana State University/University of North Carolina season opening match. As the convention has continued to grow and expand – this year seeing over 56,000 registered attendees – some are questioning if the host hotels and convention organizers are doing enough to protect attending fans, or are only in Dragon*Con to make as much money as possible. 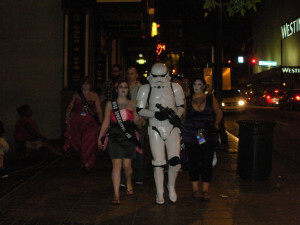 Reports of sexual harassment began appearing on September 9, 2010 on the Dragon*Con community on LiveJournal. The original poster was outraged by having heard of three incidents of harassment which had occurred at the convention. In the comments of that post, others began to come forward with their own stories, bringing the number of reports of harassment and assault to well over a dozen. One attendee went into graphic detail of being confronted by a group of 15 male LSU fans in the Marriott hotel one night while trying to take the elevator to her floor. After insisting on getting their photograph taken with her, she was trapped by the men, one of whom began biting and licking her chest before she was able to fight back and escape. Other incidents included a couple being propositioned by someone wearing a Marriott name badge, and multiple accounts of non-congoers trying to get into Dragon*Con events using other people’s room keys and stolen badges. Elevators were apparently the scene of much inappropriate behavior, with women being cornered and verbally abused until able to escape. Besides the sexual harassment, many other incidents of inappropriate and dangerous behavior were reported in the post of people spitting and throwing things off the balconies in the Marriott hotel’s large atrium. The situation at Dragon*Con with security is clearly at a critical point. Many question why the host hotels, especially the Marriott Marquis which sees most of the nighttime activity and socializing, have not beefed up security sufficiently. For starters it seems there should be security monitors riding each of the main elevators at night, and no one should be allowed in the hotel during the evening hours without a badge and/or a room key. Dragon*Con relies on a volunteer and admittedly understaffed security force, which has been brought into question as well. Volunteering for Dragon*Con requires a 25-hour minimum commitment of time, which many attendees feel they can not meet even if they would like to help out. Some attendees have been attempting to organize an even-unofficial safety volunteer group, with a smaller time commitment required and dedicated to helping keep an eye out for dangerous situations. Others are trying to take the issue up with the host hotels, the college football organizations, and the football match sponsor, Chick-fil-A. A list of complaint addresses was posted, although some wonder what good it may do when it may not matter to the Marriott and other hotels if they fill their rooms with Dragon*Con attendees or football fans, as long as the rooms are occupied and the bars are packed. While many wish that the hotels could be entirely closed to all but convention attendees, this is apparently against the law in Georgia and comments have suggested that football fans have been getting hold of Dragon*Con room block codes for many years, just now worse than ever. These harassment and other issues have lead some to question, “Is Dragon*Con Broken?” What was once viewed as a large but “safe space” for fans to embrace their interests, to costume, and to have fun for a weekend in Atlanta seems to be turning into a public freak show. The widespread media attention the event has garnered invites many non-fans to come to downtown Atlanta out of curiosity, most of whom have no idea how fan culture works and how one should behave in such an environment. Add excessive quantities of alcohol into the mix with insufficient security, and it all becomes a recipe for danger and potential disaster. Attendees – regardless of gender, size, sexuality or any other issue – should not feel threatened or at risk because of how they dress or look, or whether they are by traveling by themselves or in a group. Many are now fearful of costuming freely in the future, or walking around the convention or host hotels without friends and escorts. This is not a situation which can be allowed to continue. Official word from Dragon*Con operations regarding these issues has yet to be heard. 2011 will mark the convention’s 25th Anniversary and those I talked to on staff expect it to be their biggest event to date. Let’s hope that, in the time before then, much is done to make it a safer environment for fans once again. * “idiots” – September 9, 2010 in dragoncon. * Complaint Addresses – September 10, 2010 in dragoncon. * “Safety and volunteers for next year” – September 10, 2010 in dragoncon. 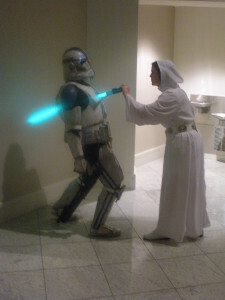 * “Security’s POV” – September 11, 2010 in dragoncon. * “Is Dragon*Con Broken?” – drewprops.com on September 5, 2010.